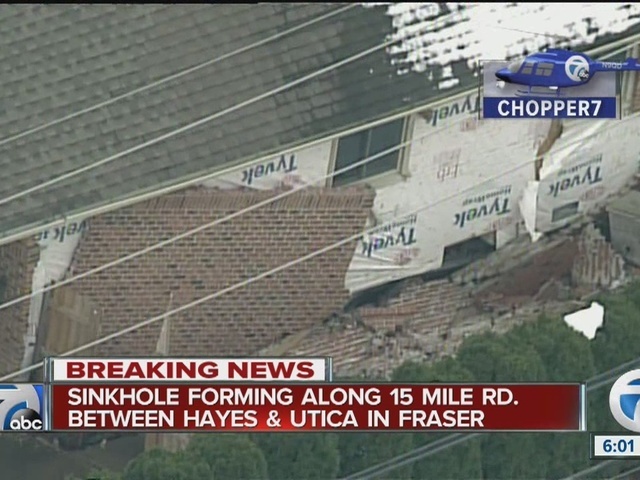 The mayor of Fraser, Michigan has declared a state of emergency in the city after several homes are being threatened by a sinkhole. So far, the sinkhole under at least one home hasn't opened up, but the home is caving in and the utility pole is leaning towards the house. The homeowner says he got out of his house at about 6 a.m. Saturday. The city is also bringing in private security to make sure the road stays closed so police can get back to their normal duties. With the declaration of the state of emergency, the city can request special funding to address the sinkhole and related expenses. A GoFundMe page has also been set up to help the family affected by the sinkhole. You can view it here. People are being urged to avoid this area for their own safety. Video on social media shows damage to the home. 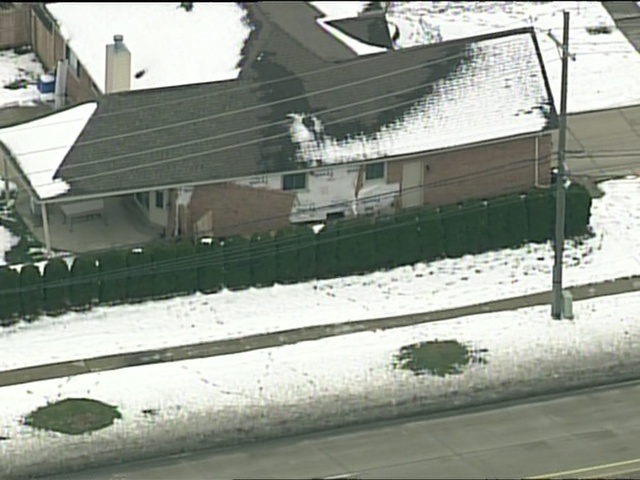 The sinkhole is in the same general area as a massive sinkhole that opened up in Sterling Heights in 2004.